We're excited to announce that we’re expanding our services to include TripConnect™ - a powerful new tool from TripAdvisor that can help you generate remarkable direct booking opportunities. As a TripConnect Premium Partner, we’re proud to offer you this new opportunity to boost direct bookings — plus Revenue Tracking and automated Review Express services, which makes it easier than ever to request valuable traveler reviews. 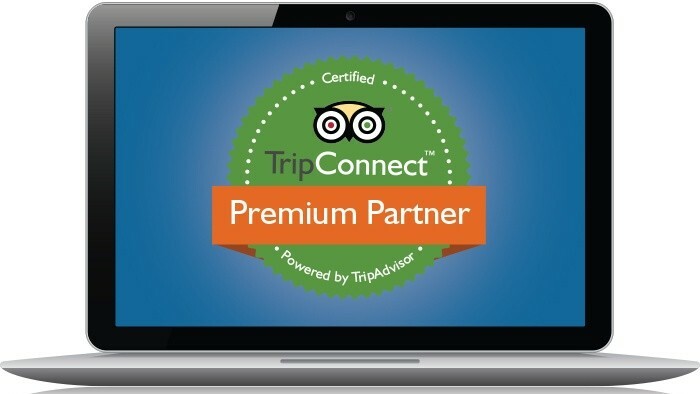 Visit www.TripAdvisor.com/TripConnect for details, and watch for more updates about these important value-added services! WebHotelier helps hotels unlock their potential and maximize their direct revenues by providing award-winning intelligence and online sales tools. WebHotelier's technology platform and unparalleled distribution and connectivity solutions are currently used by more than 3,000 hotels in 45 countries.